a bottle of wine or flowers is always a nice hostess gift, but sometimes it's fun to do something a little different. we recently attended a couples shower for our friends casey and david and it was the perfect occasion to bake my pumpkin bread. 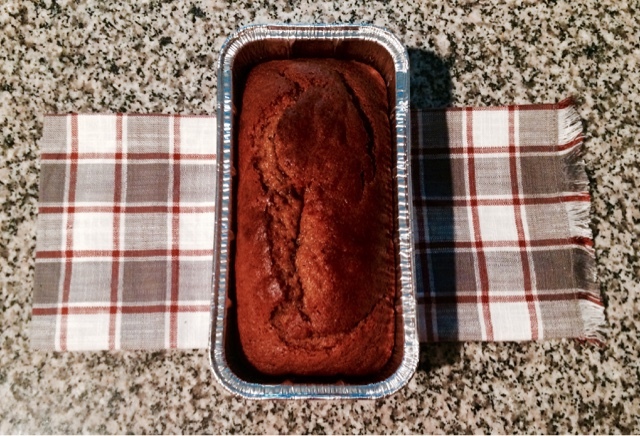 since the recipe makes three loaves, I decided to share one of the loaves as a hostess gift. all you have to do is pick up a festive dishtowel (this one is from target) and that's pretty much the extent of the extra effort, provided you have parchment paper and twine already. 1. fold your dishtowel in half and place loaf in the center of towel. 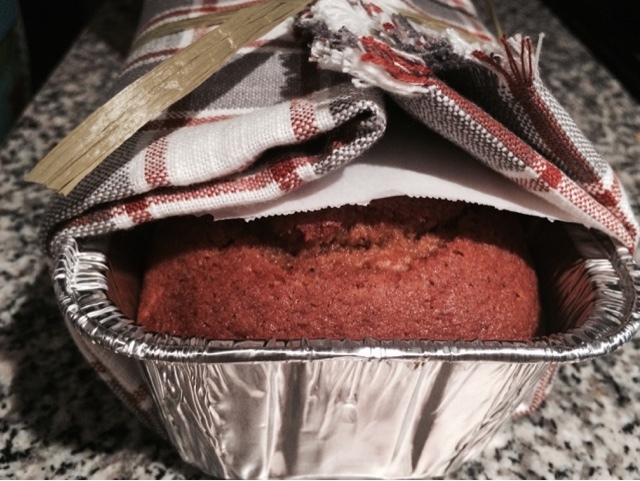 2. place parchment paper on the loaf so that the dishtowel does not touch the bread. this will help to keep the bread free from fibers in the towel and also help to keep the towel clean so the recipient can use it without having to wash it first. 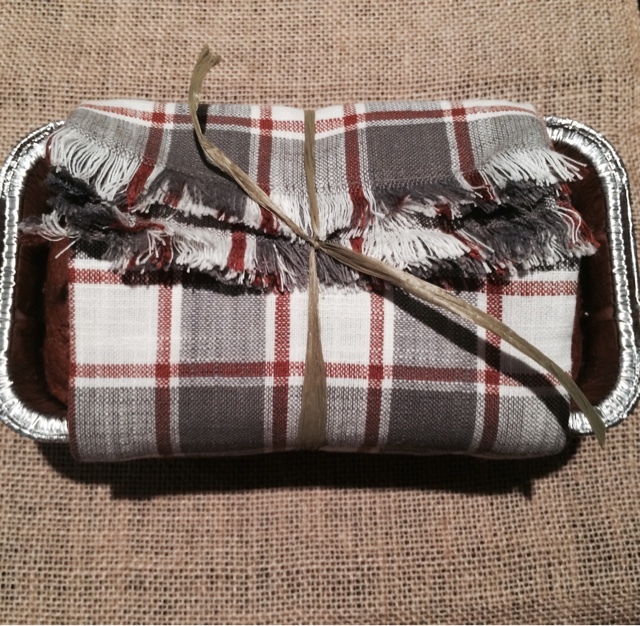 3. fold the towel over the top of the parchment paper and tie with twine or ribbon and voila!